Surveillance Cameras are everywhere– and for all the good reasons. To begin with, this digital implement facilitates the promotion of everyone’s security. From buildings, establishments, neighborhoods, businesses, and even residential properties, the CCTV has been an essential implement to its security. If you are one who is considering the installation of CCTVs in your area, then ‘Digital Eye Technologies’ is the one to call. Known to deliver the best IT solutions, ‘Digital Eye Technologies’ also offer the installation of both Analog and IP Based Digital Surveillance Solutions. Depending on your specific needs, you have both of these options to choose from. If you intend to have a remote surveillance systems, the IP Based CCTV is the one for you. The advantage to this security surveillance solution is that you can do away with recorded video storage devices and auxiliary implements. This is also an ideal security option for establishments that intend to do away with a dedicated security department– as basically, you can view your surveillance cameras in an IP enabled device wherever you may be. Your options for this wireless video transmission are varied too. ‘Digital Eye Technologies’ offer a lot of options in the transmission of your video streams from your camera locations. Get the live video stream from your security surveillance cameras even from miles away–real time! Another option for your security surveillance need would be the Analog CCTV. The greatest advantage to this video security option is that you get to have everything recorded in your preferred storage and in your preferred format as well. Being the traditional video surveillance option, Analog CCTV is also one of the most reliable choice as well. Whether you are one who intends to go for the IP Based CCTV or the Analog video surveillance, ‘Digital Eye Technologies’ is one to partner with. 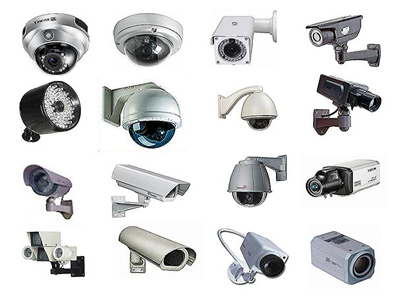 Call us today to know more about our CCTV Surveillance Solutions!